LAST REMAINING PLOT Holroyd Miller have pleasure in offering for sale eight luxury new build semi detached homes providing extremely spacious family accommodation over three levels and built to the highest specification. PRICED TO SELL - Two Bedroom - Extended Kitchen - Wheelchair Friendly - Stair Lift - Gardens - On Street Parking -Central Heating (Where Specified) - Double Glazing (Where Specified). PRICED TO SELL - Terraced Property - Reception Room - Kitchen - Two Bedrooms - Front and Rear Yard. 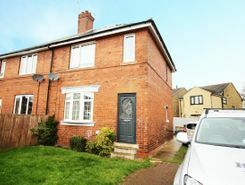 PRICED TO SELL - Large Plot - Excellent Investment Opportunity - Three Bedrooms - Ample Secure Off Street Parking - Modern Kitchen With Integrated Appliances - Modern Bathroom - Close To Local Amenities. 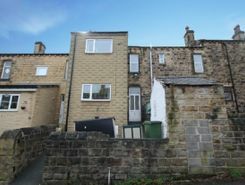 Property marketplace TheHouseShop.com have been helping consumers letting, renting, buying and selling houses online and have gathered detailed knowledge of the Dewsbury in West Yorkshire property market allowing users to save money along the way. Estate agents, online-only agents, private sellers, private landlords and property developers can all list properties for sale and to rent on TheHouseShop.com, as it is the only property marketplace in the UK to accepts listings from both professional agents and individual homeowners. Homeowners can choose how they want to sell their property and can list with a traditional agent, online-only agent or sell their property privately with TheHouseShop. 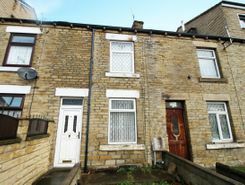 Homeowners in Dewsbury in West Yorkshire can save thousands of pounds by selling their own home on TheHouseShop.com. Private house sales are popular with Dewsbury in West Yorkshire homeowners who have been using the internet to sell property online for many years now. Setting the right price for your property is essential, especially with house prices in Dewsbury in West Yorkshire changing so quickly – but don't worry, you can use TheHouseShop.com to book a free, professional property valuation from an experienced local expert. Homeowners can choose from a number of marketing add-ons to boost their property advert and sell or let their property faster. By using TheHouseShop marketplace to advertise property privately, landlords and sellers in Dewsbury in West Yorkshire are saving their time and money while still finding a great selection of potential buyers and renters. If you are selling or letting a property in Dewsbury in West Yorkshire, TheHouseShop is a must-see platform for both private sellers and private landlords. Estate agents in Dewsbury in West Yorkshire can also use TheHouseShop to advertise their listings free of charge and reach a new audience of buyers and tenants. 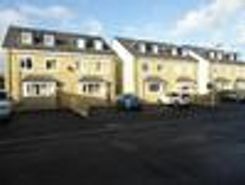 TheHouseShop showcases a range of houses and homes in Dewsbury in West Yorkshire including, flats, apartments, maisonettes, and bungalows, giving buyers a unique selection of property for sale. TheHouseShop combines both private and professional listings so you can find unique Dewsbury in West Yorkshire properties that won't appear on other agent-only property websites like Rightmove and Zoopla. If you are looking for your new home, don't forget to create a free property alert on TheHouseShop.com to receive email updates anytime a new property matching your requirements becomes available. Sellers can use TheHouseShop to compare the best estate agents in Dewsbury in West Yorkshire and help narrow down the competition so that they choose the best agent for their property. 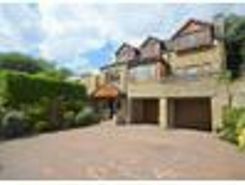 TheHouseShop is visited by tens of thousands of buyers each day who are looking for homes for sale in Dewsbury in West Yorkshire and the surrounding areas. 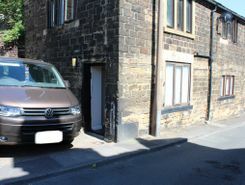 TheHouseShop specialises in the accessible property niche market and have a selection of adapted homes for sale available in Dewsbury in West Yorkshire. Some of the best New Homes developers in Dewsbury in West Yorkshire use TheHouseShop to promote their accessible listings as well as their new homes for sale. Buyers will find a selection of cheap property for sale on TheHouseShop.com. Buyers looking for affordable homes can find a variety of new homes for sale in Dewsbury in West Yorkshire available through Shared Ownership schemes. 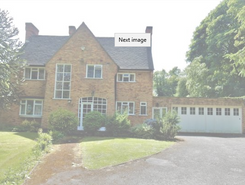 Want to find out how much a property is worth? Buyers can use TheHouseShop's free online valuation tool to get an estimated house price for any property in Dewsbury in West Yorkshire. Whether you want to buy, sell, rent or let property in Dewsbury in West Yorkshire, TheHouseShop is your one stop shop for all your property needs.